Trust DEFENDER to make thieves and vandals think twice about approaching your property. 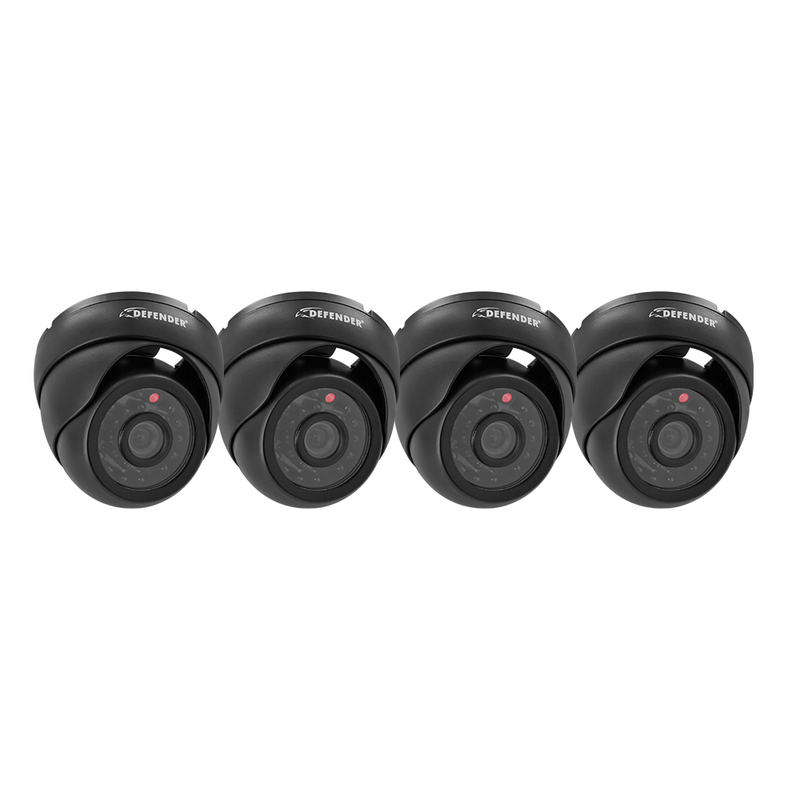 Four sleek dome cameras deliver clear, ultra hi-res 600TVL video for maximum indoor and outdoor surveillance visibility. 24IR LEDs allow for 65 feet of automatic night vision, while the weather-resistant aluminum casing ensures your cameras can withstand harsh elements. View anytime, anywhere with remote viewing via Internet, smartphone, and tablet, and receive photo alerts by email when motion is detected on your property. Our 1 Step™ Remote Viewing software application auto-networks your DVR in less than 5 minutes, available as a free download for PC and Mac. Record over 2 years’ worth of footage on the included 500GB hard drive. DEFENDER systems function just like a computer, with a mouse for pointing and clicking and an intuitive icon-based menu for easy set up and use. Your security system is only worthwhile if you can actually see the person stealing from you. DEFENDER dome cameras are equipped with 600 TV lines of resolution and an IR cut filter to enhance color and detail. 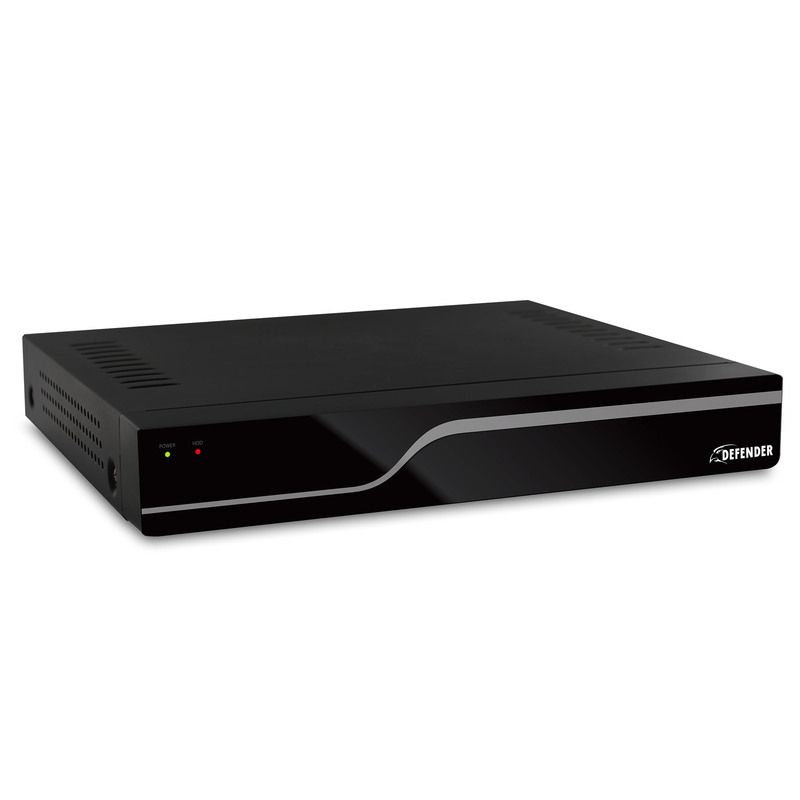 The DVR records in D1 resolution, which is the equivalent of 704 x 480 pixels or DVD quality. The result is a clear, crisp and accurate video feed. Criminals don’t take the night off if it’s raining. Neither do our cameras. They’re weather resistant and ensure optimal picture quality no matter what Mother Nature decides to throw at you, be it rain, hail or snow. The professional-grade aluminum housing will protect against rust, deterioration and glare. So no matter what’s going on outside, DEFENDER will be ready. Our 1 Step Remote Viewing software application auto-networks your DVR in less than 5 minutes. Simply input your DVR’s IP address (found in the menu) into the connection program on your computer, click “Sync to Router”, and 1 Step will automatically do the rest. This software is available as a free download for PC and Mac. Defender offers you the convenience of mobile viewing without any complicated instructions or hassle.